On electronic piano apps, there is normally an octave or two of piano keyboard, and then a few interesting and fun features and functions. 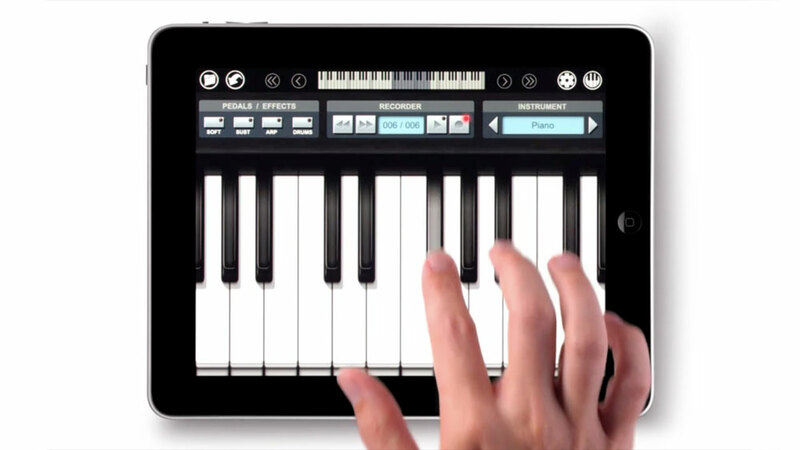 By upgrading to a full size, real life electronic piano you will be adding onto all of those awesome features and functions that were on the app. If your child liked to record their musical creations and save them to show their friends, then they will simply LOVE a digital piano. Most electronic pianos today have an inbuilt feature whereby you can record yourself playing the piano. This can be recorded directly onto a USB flash drive in MP3 format so it will be all ready for your child to show his or her friends in a matter of minutes! Unleash the potential in your child with a digital piano! With electric pianos there is usually the option on an electonic piano of having a duel record facility whereby you can actually record two or more tracks of music and then overlay them if you so wish. This is an amazing feature that will bring out the creative juices in any child and encourage them to compose their own music and have a lot of fun at the same time!! Previous Previous post: Get Jazzy this Christmas! Next Next post: Tips and tricks for buying a digital piano this year!